Castle ward candidates, clockwise from top left, James Doyle (Conservatives), Rebecca Lapping (Greens), Jack Stoker (Lib Dems), Doris McKnight (Labour). 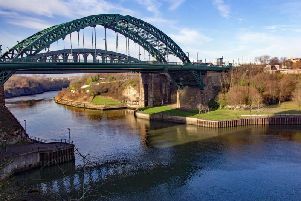 This year’s local elections are just around the corner, and we will be turning the spotlight on all Sunderland’s candidates in the run-up to polling day on May 3. We will concentrate on two wards each day, starting today with the Castle ward. The council election will be held on May 3. Every candidate will be given the opportunity to tell readers why they are standing and why people should vote for them. Here’s what the four Castle candidates have to say. May I begin by saying that it is great honour to have been selected as the Conservative Party candidate for Castle ward. As someone who has lived and worked in Sunderland all my life, I understand how vital it is to have a strong, vocal councillor who can truly hold the failing Labour executive to account. I believe that for too long the ward of Castle has been neglected by the Labour Party. Their blasé attitude towards local issues and the proud City of Sunderland must end. If you agree, please vote Conservative on May 3. I have lived in Castle ward most of my life. I am passionate about the area and would love to be part of making it a better place to live in the future. To do this, I will listen to the concerns of local residents and represent their views. As a Green, I will not be subject to a party whip and can put Castle first, voting only for the best interests of residents. I will campaign for a zero waste, living wage city. By voting for me, you will be voting for fairness, social justice and real local democracy. I am proud to represent the Castle Ward again in the 2018 elections. The main issues in the ward are litter, fly tipping and dog fouling, we have had larger litter bins installed around the main shopping areas and the council is now proactive in issuing fines. We have allocated over £7,500 from community chest to supported local groups in the ward. If re-elected my priorities will be to oppose the building of a gasification plant, support building social housing and oppose building on green belt land within the ward. I hope you will vote for me on May 3. I believe I can do so much more for this ward than its current Councillors. The community centre in Town End Farm badly needs investment. Some local businesses have had their rent put up by nearly 100 per cent. Town End Park needs huge refurbishment. And across the ward, we have a huge litter problem. I will make sure that the above issues are tackled, and will also ensure that refurbishment of the castle is carried out with proper consultation with residents. Only the Lib Dems will stand up for the residents of Castletown, Hylton Castle and Town End Farm.